Raid de Himalaya rally is considered one of the top ten toughest and most challenging car rallies around the world. Started in 1999, the rally conducted every year since then. The rally generally took the route from Shimla of Himachal Pradesh to Leh, Ladakh in Jammu & Kashmir. However, the route may vary in different years depends upon the weather and road condition. Himalayan Motorsport Association is the organiser of the event and last year (2013) the rally was mainly sponsored by Maruti Suzuki beside other sponsors . This event is one of the major motorsport events in the country and put India on the global motorsport map. The rally is getting popularity among the Indian as well as many global participants. In 2013, the rally has got the maximum number of entries (about 153 teams) . 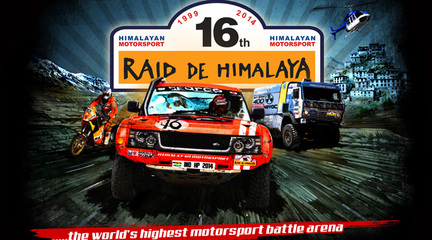 The vehicles that traditionally compete at the Raid de Himalaya rally are powerful cars, SUVs, motorcycles and quads . 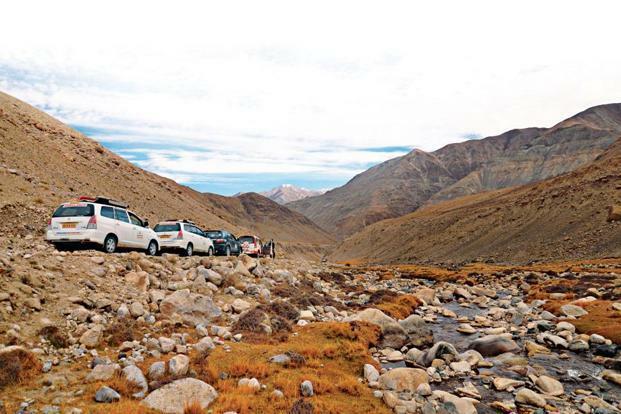 The rally is organized on the world’s highest road at about 18,380ft above sea level. The entire track is about 2,000km long from Shimla to Leh. The route passes many difficult terrains in the Himalayas and often in temperatures below freezing points. It also embraces two of the world’s highest mountain passes, Khardung La and Wari La and takes about six days to cover its entire length. Both four-wheelers cars and two-wheelers motorbikes can participate in the rally. There is prize money and trophies for the winners. Beside this, every participants get a finisher's badge and certificate. However due to the harsh weather and difficult road conditions, officials estimates that only 25% of the participants are able to finish the rally [5, 6]. A local organization called ‘Jungwa Ladakh’, working for preservation of environment in Ladakh, has condemned this event. According to the members and officials of this organization, the Rally created the ‘menace and havoc’ in the local environment. The rally has also violates ‘Motor Vehicle Act’ because silencers of the bikes and cars were removed to produce highly disturbing sounds. Over the entire route of the rally creates heavy damage of environment and natural habitats in this peaceful Himalayan region . 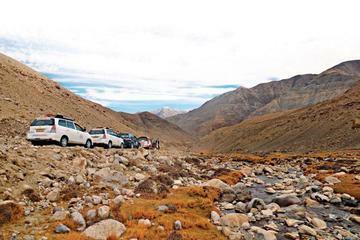 Development of Alternatives Ladakh region’s fragile ecology is heavily disturbed by such noisy and polluting car rallies. The members of the ‘Jungwa Ladakh’ decided that the group will protest against such rallies. The organization has unanimously passed a resolution against such events in the future in the Ladakh region. They called for a total ban for these kind of rallies and insisted the administration and concerned departments to take stringent action against those who repeat such events in future. The organization has also appealed to all environmentalists and concerned people to protest against such events and organizers of such rallies [3, 4, 7]. Why? Explain briefly. According to the protesting organization ‘Jungwa Ladakh’, the rally disturbs the Ladakh’s flora and fauna. The callous and cross-country driving by the drivers of the rally destabilized the sensitive wildlife habitats and also destroyed pastureland of the region every year during the rally.